Bermuda’s short but significant history is explored at several museums dotted around the island. Take some time out from the beach and discover a little about the island’s heritage and culture. The National Museum of Bermuda is the largest and most popular. Situated within the fortifications at Royal Naval Dockyard it features displays showcasing shipwrecks and treasure, the slave trade, Bermuda fitted dinghies and other boats, notes and coins, and the role of the British and US forces in Bermuda. BAMZ is another major draw for visitors. Although most come to see the fish and animals it also features a natural history museum with exhibits relating to geology, wildlife habitats, the impact of humans on the island’s environment, and more. St George is the oldest settlement on the island and is home to the Bermuda National Trust Museum and the Tucker House Museum. The Bermuda National Trust Museum is situated in a building occupied by a Confederate shipping agent during the American Civil War. The Rogues and Runners exhibit here explores the role the island played in breaking the Union blockades. The Tucker House Museum is furnished as a residence of an 18th century Bermudian merchant and also features displays relating to Joseph Hayne Rainey, a freed slave and the first black member of the US House of Representatives. Carter House on St David’s Island is one of the oldest buildings on the island and houses the St David’s Island Historical Society Museum. A recent addition in the grounds is a replica of a typical dwelling built by the first colonists when they arrived in 1612. Entrance fees are cheap. Spending a few afternoons exploring the various museums is a good way to keep your costs down. There are reduced rates for children and most offer free admission for children under 5. 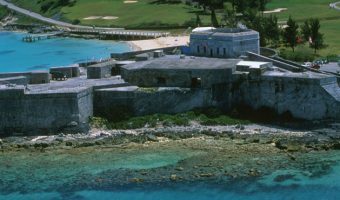 The Bermuda National Trust offers a combination ticket giving discounted entry to its three museums (Verdmont, Tucker House, and the Bermuda National Trust Museum). Housed in one of the island's oldest stone buildings. The BUEI’s purpose is to enhance our understanding of the mysteries of the ocean. Offers a glimpse into early Bermudian life.